In our series App of the Week, we showcase our favourite organised lines of code from the world of mobile and desktop computing. In today’s edition, we profile an app that allows people to build their CVs and resumes without a computer — CV Engineer. Looking for a job can be a job in itself. While frantically darting from one interview to the next, stressing about your choice of attire, or second-guessing whether your salary expectations were realistic, your CV should be the least of your worries. And it’s even more complicated if you don’t have regular access to a PC, or the savvy needed to load a CV template into Microsoft Word. But you know what? All you really need is your smartphone and your life experience. I first stumbled across CV Engineer on a Reddit thread a few weeks ago, but it did spark a thought about the prevalence of smartphones in South Africa. Why should job seekers be limited to building CVs on computers? Computers that are arguably more out of reach for most than their smartphones? It seems this app tries to address these questions. Aesthetically, it’s decidedly bland, but that’s a good thing. CV Engineer is simple enough for anyone to use, tech-savvy or not, and should scale well to most screen sizes. The simple layout and lack of frills does keep the app lightweight. I tested it on a relatively brisk Sony Xperia XA2 Ultra, but CV Engineer never once crashed, or felt sluggish. It’s also only 3MB in download size too. The primary screen lists the core information you’ll need on your CV. This includes contact info, a personal statement, your previous jobs and experience, and your education. There’s also a bunch of optional sections, including a space to outline projects in-depth, list references, key interests or skills. Entering information into each section is straightforward too. Tap on the section, and type in the information into the relevant field. Simple. Anyone who’s ever sent a text should be familiar with these mechanics. This layout also makes it easy to piece together your CV bit by bit between lectures, on public transport, or at lunch. Once you’re happy with the information you’ve added, the app will then build your CV in the format you specify. You can then view your CV, and adjust visual elements, like the font, the point size, the margin details and its size. And if you’re excited to see your layout before all the information is added, you can preview or switch themes as many times as you like. Finally, once you’re happy with the end product, you can mail your CV to yourself (or your future boss). CV Engineer also tacks on a career advice portal, and suggestions for each section if you’re not too sure what information should go where. In terms of security, the app doesn’t request any special permissions bar internet connection requests. And although it can connect to the net, it didn’t hound me with full screen or even bottom bar advertisements while I reviewed it. It does have in-app purchases though, but it’s not the typical system. 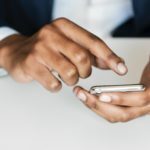 The developers are also notably involved in community engagement, regularly replying to comments left by users on the Google Play Store, and other social platforms. What you see is what you get. There’s no dark mode for night-time usage, which could be a minor issue for night owls. Additionally, there are a few annoyances with the app’s mechanics. Hitting “save” doesn’t take you back to the main menu, which forces another unnecessary navigational step from the user. And considering that Android 4.4 smartphones are still pretty common across South Africa, it’s a pity that CV Engineer is only supported on Android versions 5.0 and above. 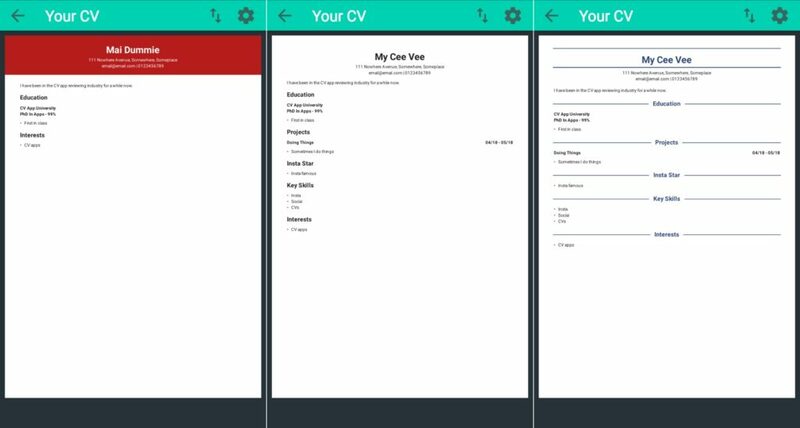 If you don’t have access to a computer, CV Engineer is an excellent and simple way to build, edit and maintain your CV from your smartphone.